As 2018 comes to a close, people everywhere are making resolutions for the year ahead. 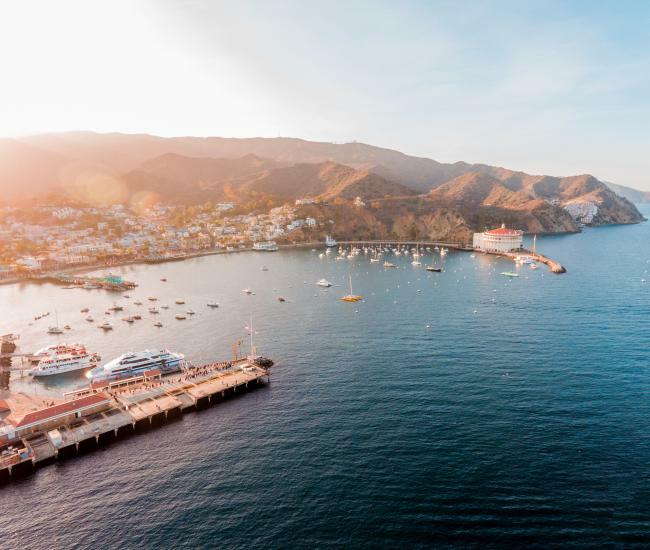 On Catalina Island, 2019 will hold adventure, relaxation and an escape from the everyday only possible on this compelling island. New Trailhead Center: The Catalina Island Conservancy’s new Trailhead Center promises to be a compelling gateway to the wildlands of Catalina. Not only will it be a new face of the non-profit charging with protecting the island, it will also be a source for hiking permits, information about the island’s natural history and the starting point for the Catalina Island Conservancy’s popular Jeep Eco-Tours. New Toyon Grill: Visitors won’t just be a getting a new place to learn more about the island at The Trailhead, they will also be getting a new spot to eat on Catalina Island. Operated by the team behind Bluewater Avalon, the Toyon Grill offers a casual option for breakfast, lunch and dinner – as well as beer, wine, coffee or cocktails overlooking Avalon Harbor. New Vons: Early 2019 will bring a new opportunity for shopping on Catalina Island – specifically grocery shopping for both residents and visitors. A new Vons grocery store will open on Beacon Street, replacing the two current Vons stores in Avalon. New Hotel Atwater: This summer, the old will be made new again, when one of the island’s oldest hotels reopens after a multi-million-dollar renovation. The Hotel Atwater has been serving guests for nearly 100 years and its new look promises a nod to that history while also offering modern services and conveniences. New PKW Restaurant: When the Hotel Atwater reopens, its lobby will be home to the PKW Eatery + Bar, a new destination for dining and cocktails. Named for Philip Knight Wrigley, the restaurant will offer custom-crafted cocktails, shared plates and an eclectic wine list. No Catalina Island Bucket List would be complete without plans to #OptOutside. Like nowhere else on earth, Catalina Island offers a dramatic confluence of earth and sea, rewarding explorers with sheer cliffs, gentle beaches and powerful surf. 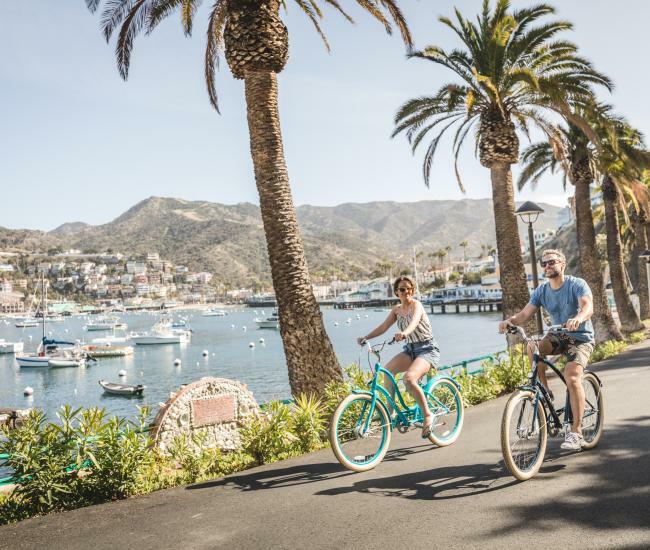 Whether you choose to circumnavigate the island, camp at Blackjack, kayak at Little Harbor or just take a stroll around Avalon Harbor, 2019 offers plenty of options for things to do on Catalina Island in the great outdoors. Get creative: Catalina Island has inspired artists for generations. Photographers, painters and sculptors alike have interpreted the island in creative ways, crafting a myriad of art pieces that will endure for generations more. These days, Catalina Island continues to inspire and is a perfect place to discover – or rediscover – your own creativity. Whether you’re looking to write a novel, improve your plein air painting skills or just perfect your smart phone photo capabilities, let 2019 be the year Catalina Island is your muse. Try something new: A Catalina Island vacation offers a wealth of opportunities to try something new. From learning to scuba dive to trying a new spa treatment and from ocean kayaking to escape rooms, you and your family will find that the things to do on Catalina Island invite exploration and innovation. Go Green: Treading lightly on the earth is a resolution we can all add to our 2019 list. On Catalina Island, thanks to some recent regulatory changes, it’ll easier to do just that. The Avalon City Council has banned polystyrene, so getting your grub to go will come with less impact on the earth. Over at the Trailhead, the Catalina Island Conservancy’s new building will be one of the first on the island to be LEED certified. And starting Jan. 1, plastic straws will disappear from Avalon. Get together: There’s no denying it – the island brings people together. Co-workers bond over unique team-building activities. Families come together to share time together on a Catalina Island vacation. Friends relax and unwind over cocktails and spa treatments. And couples forge a fiercer bond while exploring the Island of Romance. 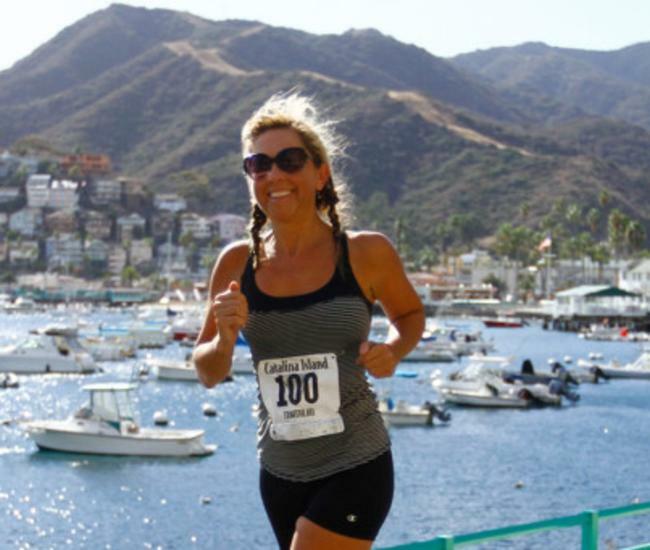 If your 2019 resolution is to spend time with those who matter, there’s no better place to do it than Santa Catalina Island. Get away: There’s no denying it. Americans lead the way in missing out on getting away. More than any other country, we don’t use our time off and only you can fix that. Make 2019 the year you maximize your time getting away from it all. Need some inspiration? 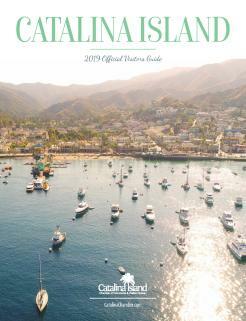 Click to order your free Catalina Island Visitors Guide.